Susie Wolff Source: © 2018 Daimler AG. All rights reserved. 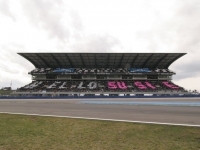 Susie, how did you come to join DTM in 2006? Susie Wolff: I’d just lost my cockpit in the World Series by Renault as I wasn’t able to raise the sponsorship. I was really frustrated and thought: this is it, when I got a call from Gerhard Ungar about testing a DTM car in Barcelona. The test went pretty well, but I didn’t hear from them for ten days afterwards. I had no idea whether I would get my chance in DTM or not. Ten days later, and I was flying out to Stuttgart to sign a contract to drive for Mercedes-Benz in DTM. With hindsight, it was the big breakthrough that influenced the direction that both my career and private life were to take. Norbert [Haug] is the one I’ve got to thank for giving me the opportunity, and I’m grateful to him for taking a chance on me. His support was invaluable, he pushed me forward and always believed in me. Vanina Ickx also competed in DTM in 2006. Did it ever really matter much to you whether you raced against men or women? Susie Wolff: No, not at all. It was never an issue for me. I started racing at the age of eight and made my way up through the various junior classes in karting and formula racing. There were never very many women competing, but I wouldn’t say that I ever raced to be the best woman. I raced to be the best. You and Ellen Lohr really left your mark on DTM. You were with DTM for seven years, do you feel a sense of pride in the knowledge that you were such a defining figure in the series? Susie Wolff: I was very proud to race for Mercedes-Benz for such a long time and go head-to-head with so many terrific drivers in such a highly competitive race series. I learnt so much during that time, privately and professionally. I became part of the incredible Mercedes-Benz family and I met some incredible people which is another reason why I have such wonderful memories of my time in DTM. How important for you in general was your time in DTM? Susie Wolff: They were some of the most important years of my racing career. At DTM I laid the foundations for driving a Formula 1 car, which had always been my ultimate dream. I also met my future husband, which was a pretty significant moment! All in all those seven years shaped me and helped prepare me for the future. Is there any particular race that you like to look back on with fond memories? Susie Wolff: I’d have to say my very first DTM race actually at Hockenheim. I’ll never forget it, the support I received from the team was incredible. Add to this that I finished my maiden DTM race in the Top Ten and you can understand why it’s a race I’ll never forget. There have been other less spectacular races where I had some terrific scraps with great drivers like Tom Kristensen, Jamie Green, Jean Alesi and Gary Paffett. They’re pretty unforgettable too. Have you got a favourite DTM track? 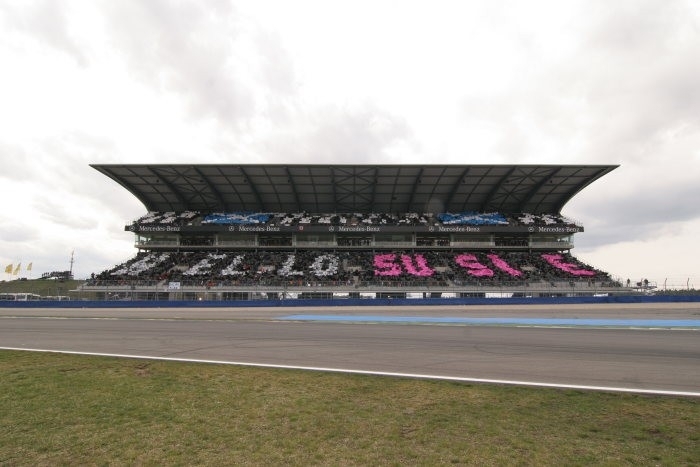 Susie Wolff: Well as my first ever DTM race track, it’s just got to be Hockenheim. When I was given the choice of where I wanted to drive in Friday practice with Williams in Formula 1, I had no hesitation in opting for Hockenheim. With which team-mate did you most enjoy working with during your time in DTM? Susie Wolff: Great question. I never had a favourite team-mate per se, but I learned a great deal from Gary [Paffett]. He was always very honest and gave me plenty of advice. I had a lot of great drivers as team-mates – David Coulthard, Mika Häkkinen, Bruno Spengler, Jamie Green – and got on really well with them all. During your time in DTM, there were two classes of drivers, if I can put it like that, with some in last year’s car and others being given the current generation of car to race. You were never given the opportunity to be a top contender, were you? How does it make you feel? Any regrets? Susie Wolff: I found it tough, of course, as any competitive driver would. When Toto took over as Head of Motorsport, I urged him to make sure that every driver had a chance to compete up front. As a racing driver, success means everything. 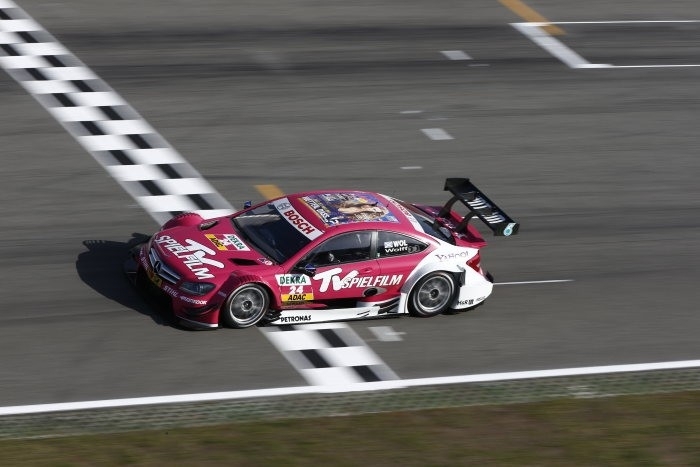 Seven years in DTM without achieving the success I craved was pretty hard to take at times and ultimately, it was one of the reasons I left in the end. I simply never had the chance to fight up front in a new car. But that’s just how things were at the time, and I’m still very grateful for the opportunity I was given. I’m very happy that current DTM drivers can now go wheel-to-wheel in cars that are more or less equivalent. How hard was making the decision to leave DTM after seven years? Susie Wolff: It was very easy to decide in the end, the stress versus reward wasn’t working for me. I wanted to compete and achieve to my potential so I knew I needed a change. I’d worked so hard and made so many sacrifices, I just said to myself one day, “ It’s got to stop. It can’t go on like this.” So it was a straightforward decision to make and I don’t feel at all bitter looking back on my time in the DTM. I like to look back on my time with the series, I learned so much and it shaped me in many ways, but I know in my gut that I left at the right time. What would you do if you didn’t have motor racing? Susie Wolff: I’m actually not sure. I feel very grateful that I identified my passion so early on. And yes, I’m a woman, who opted to follow a career path that mainly men took at the time, definitely not the easiest of career paths to take but I do love racing. It’s always been like that, right from the very start. My career as a professional racing driver has ended but I’m still very much involved in competitive motorsport both through my latest challenge as Team Principal of VENTURI Formula E Team and also through Toto. We are very collaborative and supportive of one another both on and off the race track. I love the cut and thrust of competition and I’m very grateful for the continued opportunity to satisfy my passion for motorsport.